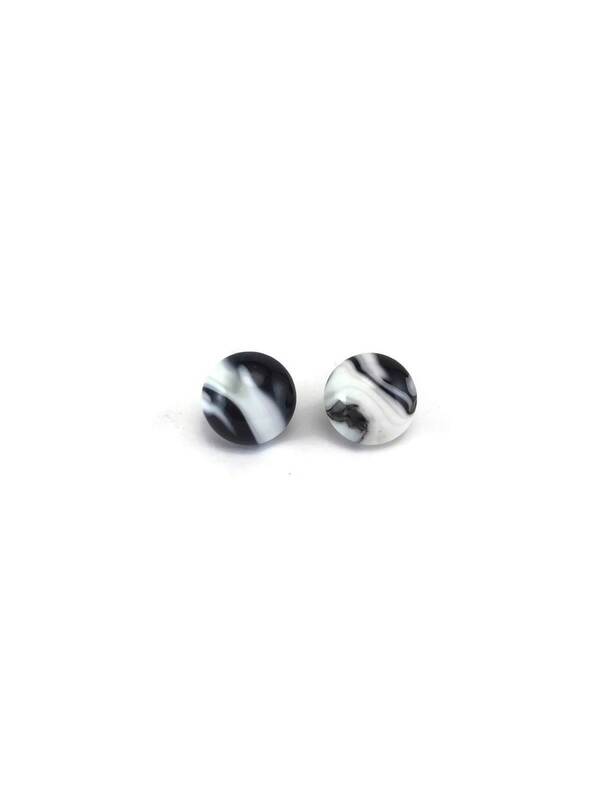 These little gem's are one of a kind Dichroic glass stud earrings they are a beautiful white and black. All my jewellery is handmade by me In my home studio. 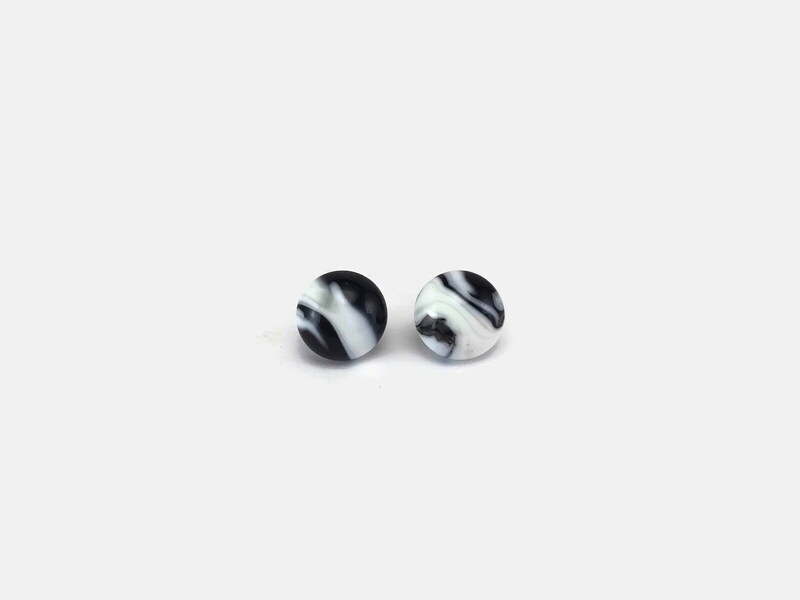 I use surgical steel for all of my earring posts and earring wires..it has the least chance for allergies!